Making Your Life a Little Easier. 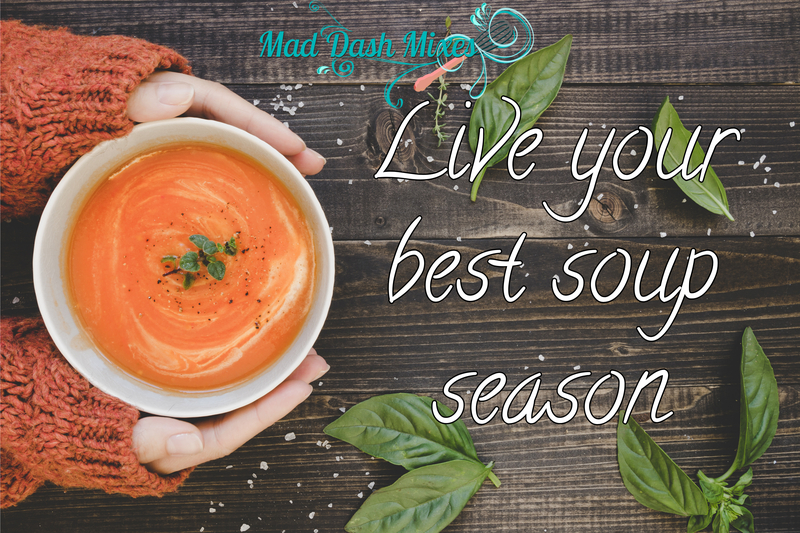 Let Mad Dash Mixes make your life a little easier! Company coming over for dinner? Need a quick and delicious meal? We have you covered! Our Dips are versatile and add a burst of flavor to any appetizer or meal. Each Soup is unique with its own recipe, but you can add your personal touch with your favorite vegetables and meats. Then, finish strong with a decadent N0-Bake Cheesecake. Interested in new recipes and discounts? Sign up for Mad Dash Mixes email newsletter, you can like us on Facebook, and follow us on Twitter Pinterest & Instagram.